How to make the graphics card fake what HDMI version it sends? Discussion in 'Videocards - NVIDIA GeForce' started by ratata, Sep 8, 2018. I'm new to this forum and hence this is my first post. So hello all of you, how are you ? I have a question concerning differences in between various HDMI versions. But it's a long post, sorry for that. I have an Alien laptop, amazing in every respect. Especially one feature is damn cool, the HDMI port. It isn't just a HDMI out port. It is also a HDMI in/out port. For instance, this gives me the possibility to lie down int the sofa with the laptop on top of me and play the toughest game one can find. All settings maximized. With a fps who would impress most people. Heey, with a laptop? The laptop aint even warm, it's cool. It's quiete too, the fan barely spins. But it's possible with a HDMI in port. Play like this, it's damn cool, I tell you. I love it. You see, this was one of the first PC's designed and manufactured with a duplex HDMI port. Sadly, along this time HDMI v1.4 was about to be replaced in favour for HDMI 2.0. Most designers tries to think of everything before they finally goes to production. These guys did that...except they forgot a new HDMI version just got released shortly afterwrd the pressed the button for production. In reality that means that if you connect an old Playstation or some other device of your choice (and that device makes use of the HDMI v1.4) to this laptop, you will se the Playstation screen as bright, sharp, clear and colorful exactly as if you connected it to any other high end monitor...right on this laptop. 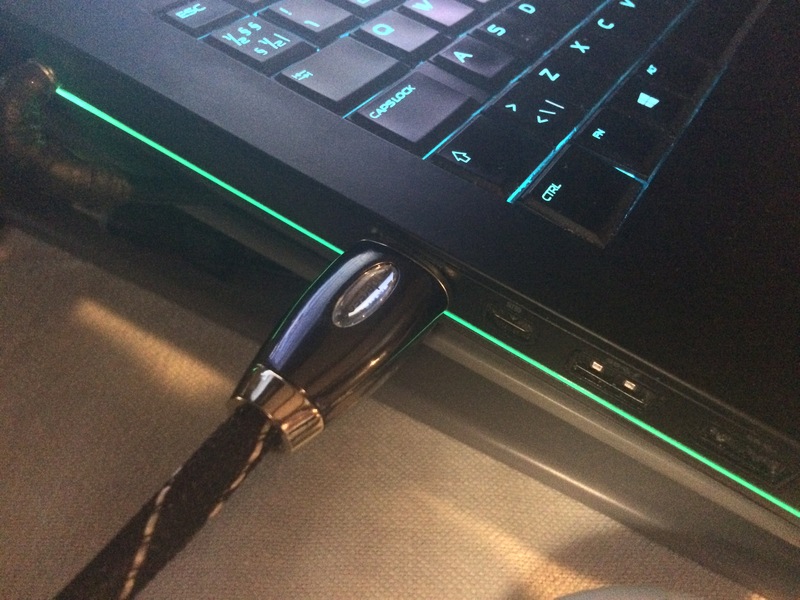 If the sender sends HDMI v2.x signals the Alienware laptop gets confused and start to transmit a dull, dark screen that has absolutely nothing in common with the original presentation of the screen. I can still play, yes, but it's obviously not as fun as it could be. I searched Alienware, Dell, all obscure forums about this for more than a year and came up with nothing. Occasionally, not very often, I could see others who had the same problem. 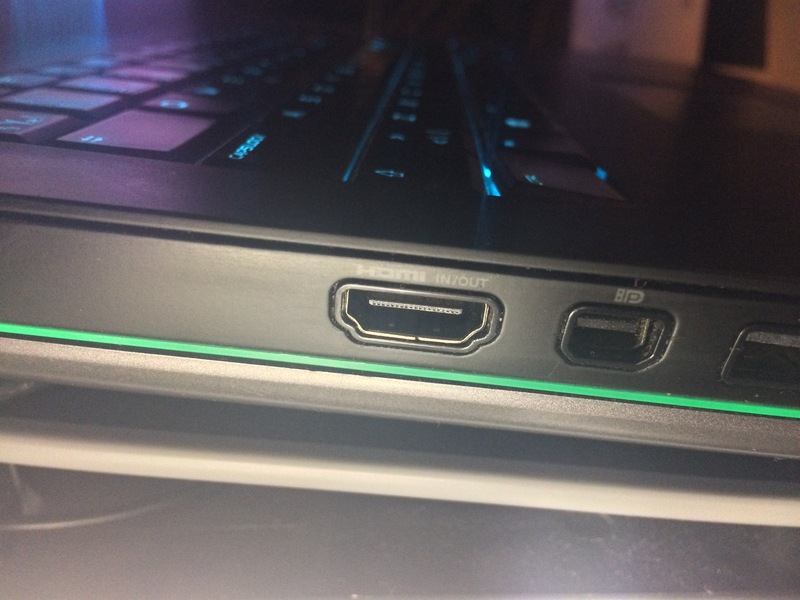 So, what was left was to directly contact the Alienware designer who designed the port. And he confirmed what I wrote above (I didn't have a clue about what was going on prior talking to this guy even if my writing above suggests so). So, a duplex HDMI in/out port is fun as hell to have. Well, anyway if it was an HDMI port that was version independent, anyway. But it's not. Any sender, i.e. a graphics card, that utilizes HDMI v2 or above takes the fun go away. Is it possible to emulate/manipulate what HDMI version data a graphics card transmits? In my case for instance, can I let the graphics card in my huge gaming PC's let the environment around it beliving that it uses HDMI v1.4? Is it doable at all? I'm sorry for a long post, it was my first post and I wanted to be thorough. English isn't my native tongue. It's just HDMI... HDMI handles Audio/Video to & from as intended since first revision. Unless by Duplex you're trying to convey that your HDMI setup actually has two physical ports on your laptop's I/O (rare but possible) an actual built-in Duplex-layout for extra screens etc... otherwise you've lost me. I won't say it doesn't exist - but I haven't seen a soft-tool that can change the port's revision grade OS-side; I've only ever seen that done via firmware & I don't know of one for HDMI at the moment. I know 1.4 to 2.0 didn't require difference in change of HDMI cable - maybe do some research and see if going further back may? So, is it possible to manipulate the HDMI version data from within the graphics card? No there isn't - not that I have ever heard of & none of this is in lieu of HDMI's own official listed spec - click here - which I've never had reason not to stick by thus far. What is your laptop's make & model please? It's P/N so I can glean more on this & hunt down more info myself as I have never heard of an issue like yours before..
EDIT: 1.4 is forwards compatible with 2.0 - there are some issues however with 2.0a depending on type of content but hardware wise that shouldn't be an issue. I see one (somewhat) to the right of the HDMI?? Edit: NO, it is not Thunderbolt! I can't see any images of his that he uploaded for whatever reason just text that says IMG - you can? Ok I got the pictures downloaded to my PC and saw them... yeah just regular HDMI port alongside a traditional Display-Port. Does the input just go directly to the laptop display, or (and?) is there a video encoder in the laptop? I miss nVidia's old VIVO port. I dont see how this demonstrates use of HDMI in. What makes you think you are using HDMI in? What I suspect is happening here is your panel (laptop) is seeing the 2.0 input and converting it to RGB limited which is resulting in the washout out looking display. ratata and yasamoka like this. - I see stuff on my screen. Coming from the HDMI cable. Damn, I think you're on the right track there. It shouldn't be hard to test, an old DVD recorder with HDMI prior to v2.x. Am I wrong? HeavyHemi might be on the right track with the 'limited RGB" - more info about workarounds here. I've seen weird stuff from HDMI cables. Sometimes flexing the cable, or even reversing the direction of the cable can have an effect. I know, I know...but I'm a swede. That's how we do it, we can't help it. Sorry, we write very much about nothing. Often. My dad was a Master Mariner with American Mail Lines... He had never ending stories from his chief engineer, who was a Swede...stories about...nothing really but they were funny and he never stopped talking.